Here is Randy Pagels's presentation on What's New in Visual Studio 2012at the August 2012 Great Lakes Area .NET User Group meeting. The organizers of That Conference knew a good thing when they saw it. 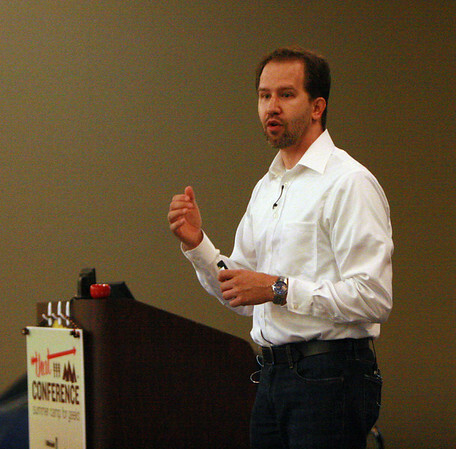 For years, CodeMash has set the standard for community technical events. And when community leaders from Illinois and Wisconsin saw the success of CodeMash and experienced how well it was run, they resolved to create something similar. The similarities are immediately apparent - a large polyglot developer conference, run by volunteers, taking place at an indoor waterpark. They even chose another location (Wisconsin Dells, WI) of the Kalahari water park. They added a bacon bar - an idea that I first saw implemented at CodeMash earlier this year and upped the ante by roasting a pig for dinner one night. But it's not enough just to draw inspiration from success, have a good concept, and borrow a few ideas. To be successful, you still need to execute well. And the organizers of That Conference executed their plan very well. They attracted an impressive list of speakers covering a wide variety of topics. Not only did this make the presentations great, but it also made the lunchtime and hallway conversations great. I saw some excellent presentations by Steve Bodnar, Jimmy Bogard, and Scott Hanselman, among others. My favourite was Bogard's session, which described how to write code that is easier to functional test. My presentation on Azure Storage went really well. The audience was great. They asked good questions and were genuinely interested in this technology. I even overheard a couple people talking about my presentation in the lunch line. And thanks to Bob Laskey, I now have a new photo (below) that I can use on my conference profile pages. As you can see, I was very excited about my presentation. But talking one-on-one with experts in the industry is where I get the most value from these conferences and I gained a lot of value from conversations at this conference (or is it “that conference”?). Many of the talks were so interesting, that I asked permission to record them, so you will soon see Chris Powers, Keith Casey, Ian Felton, Scott Hanselman, Samid Basu, Clark Sell, Jeff Nuckolls, Jay Harris, Michael Collier, and Ted Neward on Technology and Friends. Topics ranged from Windows Azure to telephony to home automation to the relationships between developers and managers. That Conference included a few extra events, including a hackathon, a code retreat, a game night, open spaces, and a night in which the water park stayed open until 1AM, allowing the attendees a chance to play. The only downside was the cost to attend, which was higher than most community events. The ticket cost was very reasonable ($350 for 3 days), but hotel rooms were almost $200 a night, the flight to Wisconsin was expensive, and the closest major airport is over an hour from Kalahari, meaning one still needed ground transportation. I was fortunate to receive sponsorship from Telerik (a sponsor of That Conference)and others received a training budget from their employers, but not everyone is so fortunate. Still, it is much cheaper than the large for-profit technical conferences. 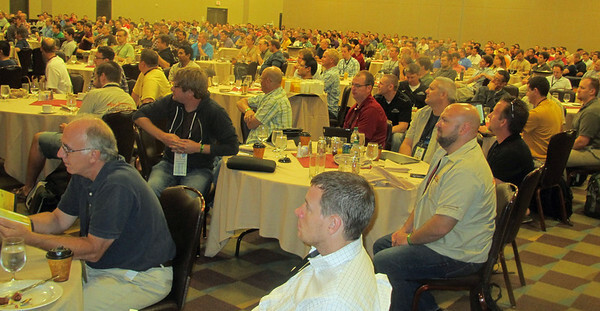 600 attendees is an impressive turnout for a first-year conference. But the Kalahari can hold many more, so I expect this conference will grow next year. Especially if word gets out what a great job the organizers did. Applications will be better and developers happier, notes Crockford, if developers avoid the bad parts of the language. For example, always use the "===" operator, which returns what most users expect because it doesn't do any type coercion. Avoid the confusion of the "==" operator, Crockford recommends. Here is Mike Wood's presentation on Continuum (of the Windows Azure Variety) at the July 2012 Great Lakes Area .NET User Group meeting. I recently delivered a presentation titled “Persistence in the Cloud: How to Use Azure Storage” at the aspconf online conference. A recording of this presentation is available at http://channel9.msdn.com/Events/aspConf/aspConf/Persistence-In-The-Cloud-How-to-use-Azure-Storage. 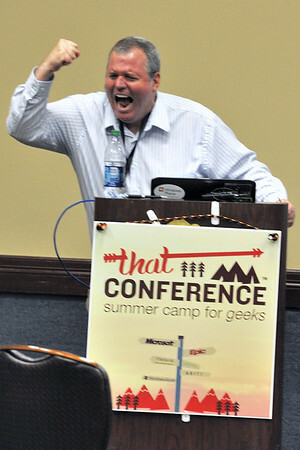 I recently delivered a presentation titled “HTML5 is the Future of the Web” at the aspconf online conference. A recording of this presentation is available at http://channel9.msdn.com/Events/aspConf/aspConf/HTML5-is-the-Future-of-the-Web.